Q: Tell us a little about your past experience before Vera. Kevin: Most of my experience has been in middle- to late-stage start-ups, in the primary care and ambulatory space, as well as in the payer space. I’ve worked across academic, non-academic, for- and non-profit organizations, government, and private payer spaces. My most recent role was with the medical group at DaVita to transform healthcare by offering clinical programs adapted for improved outcomes for payer, employer, and provider operational needs. Q: What drew you to Vera? What made you excited about joining the team? Kevin: The core reason I joined Vera is that the business model solves a key problem in the primary care space, the sick-care approach. 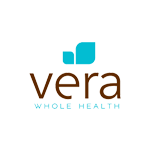 Vera shifts primary care from the current triage model that feeds specialty care to a turnkey-care model, in which 80-90% of the care a typical patient needs is handled in a Vera clinic. That focus on practicing primary care the way it should be enables us to develop and implement targeted clinical programs and drive improved outcomes. All at reduced claims cost for the client. The second reason I joined, is the incredible Vera team culture. Having a great team makes or breaks something when you’re focused on driving change and when times are tough and challenging. For those two reasons, it was a no-brainer to join the organization. Q: What are your biggest priorities as you get started in your role? Kevin: I have four categories of priorities. The first area is enhancing our clinical model of care. We’ve demonstrated great results in both clinical outcomes quality and cost savings for our existing clients, some of whom have been with us for five years. As we grow, we’re also gaining new types of clients and patient populations with different health needs. I’ll be adapting our clinical model of care to meet these new needs. The second area is to consistently deliver on quality goals at expected standards of performance across our entire client base. As clients ask for more outcomes-based guarantees, such as controlling blood sugar as measured in blood tests, we need to adjust how we set our quality goals, how we measure performance, and the standard we measure against. The third is patient engagement and experience. How do we continue to improve our high levels of satisfaction and bring innovation to our clinical model of care while executing flawlessly? An example might be a client that asks to add telehealth or psychiatric services. How do we design the right solution for them and continue to build the fundamental provider-patient relationships we know improve outcomes and provide a high level of service and satisfaction? The fourth area is probably the hardest to measure. How do we operate in a way that enables providers to best support patients and practice medicine at the top of their game? I think a lot of what draws clients and patients to Vera is the fact that providers are given ample time to see patients compared to a typical fee-for-service model. We need to design our operations to get providers the data they need and remove any barriers to focusing on patients. A big part of my role will be to help find ways to make things easier, to make data clearer, and to make achieving our outcomes more straightforward. Q: How is Vera’s approach to primary care unique when you compare it to your past experience? Kevin: In my view, the Vera approach offers two unique aspects: flexibility and time. The Vera client model enables virtually 100% patient-to-provider panel alignment —that is, all eligible patients can be seen in our clinics, and all our providers see only those eligible patients. This allows us to be more flexible and nimbler to design and roll out evidenced-based clinical protocols for a given population. And, we’re able to work closely with our clinics to make enhancements and adjustments as best-practice and evidence suggests. In the typical medical-group model you may need to reach out to dozens of providers and a specific clinical model may still only support a small portion of a single provider’s panel. This dramatically reduces the likelihood for the behavioral change needed to support improved health outcomes. Second, our model allows providers and patients the time needed to build trusted and enduring relationships. In a typical, large, fee-for-service practice, a primary care provider may see 25+ patients each day, for 10-20 minutes each. Contrast that with the Vera model, where we offer patients 30- or 60-minute appointments — depending on the visit type — and staff has additional charting time. That time enables providers to have richer conversations with a patient, it offers patients time to talk about what’s on their mind, and it builds a foundation of trust between providers and patients for future visits. Read more about what Vera's unique abilities can do for your organization. Download your copy of our eBook: Employer's Guide to Healthcare.